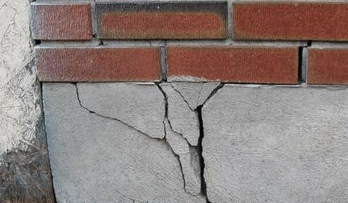 Cracks in your foundation are more than ugly, they can allow water and pests into your home. They can also weaken the structural integrity of your home or business. Foundations can be damaged by oversaturated soil pushing against the walls, uneven settling causing portions of your home to sink faster than others, or by many other causes. As stated above, cracks in your foundation can allow pests and water to enter your structure. Water needs only a small opening to cause problems. Water in your basement or crawlspace can allow mold to grow and damage belongings and structural portions of your home. In addition, water inside of cracks can expand and contract with the temperature and cause the damage to become bigger. A small crack on one side of the wall may actually lead to a much larger crack on the other side. You are also in danger of having an infestation of pests. Everything from termites and ants to mice and rats can enter your home through cracks much smaller than you may imagine. If you find cracks in your foundation, it is important that you get a hold of Southeastern Home Solutions as soon as possible. Cracks won't heal themselves and the longer you let it go, the more damage it can cause. It will also cost more and take more time to correct the problem, if it isn't addressed quickly. Our expert inspectors will come to your home or business and inspect your property for free. Once we determine the cause of the cracks and the best method to repair them, we'll provide you with a free quote. 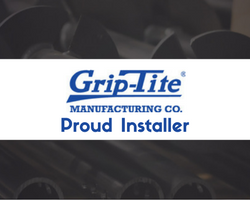 We use the best tools and have the right foundation crack repair professionals, so we can give you the best customer service and results in the industry. Don't let a small crack grow into a big problem. Contact the foundation crack experts at Southeastern Home Solutions today and let us take care of your Huntsville home or Birmingham business. We look forward to working with you and returning your Chattanooga construction's structural integrity.